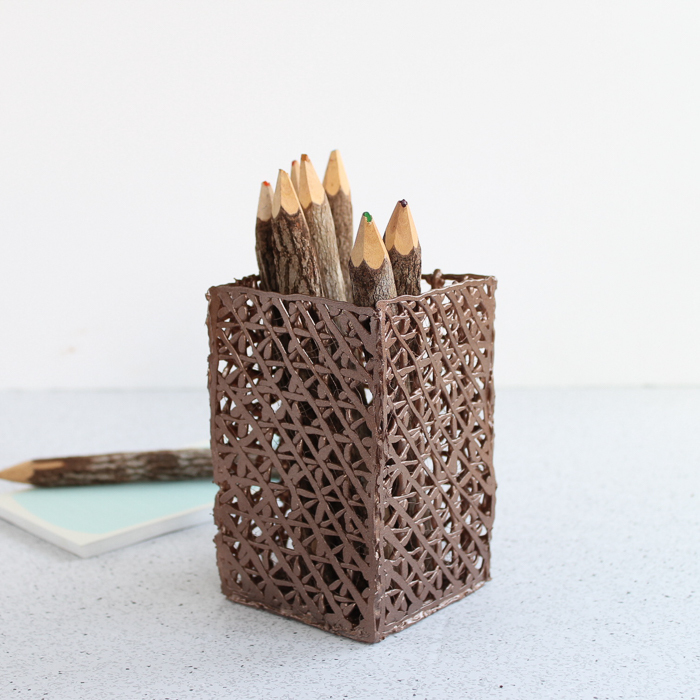 Today I am continuing with Craft Lighting and some pencil holder craft ideas. 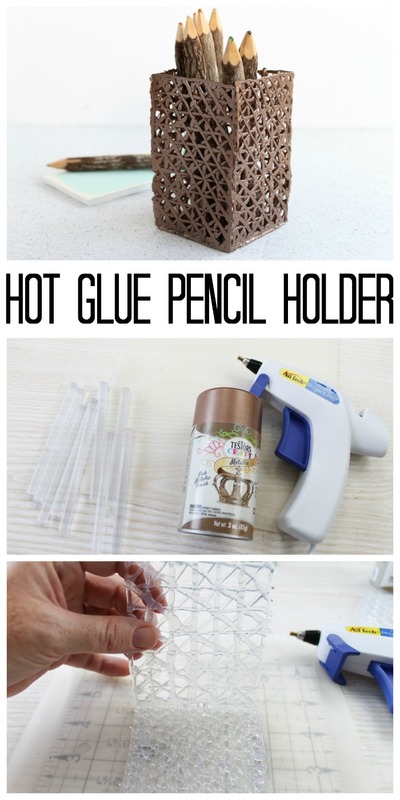 Yes, you can make a pencil holder from hot glue! I figured out this cool technique that results in a texture almost like a basket weave. It is one of those things you need give a try for yourself! If you have missed any of Craft lightning, be sure to catch up with day 1, day 2, and day 3. You can also scroll to the bottom of this post to see all of the craft ideas. You will also want to scroll down to see the details on our hot glue book if you like projects like this one. I made the sides of my pencil holder 3 inches by 5 inches. You can actually make this any size that you like. 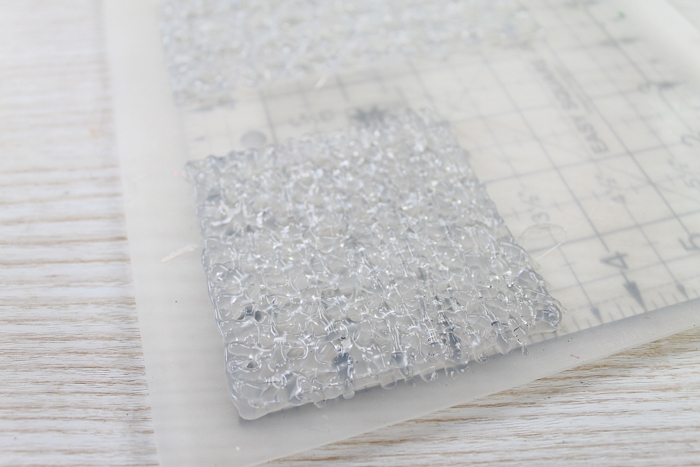 Lay a ruler or easy square under your non-stick hot glue mat then go around the outer edge (a 3×5 rectangle in my case). Then lay diagonal lines, horizontal lines, diagonal in the opposite direction, and vertical lines. I placed my lines about 1/2 an inch apart. Lay all of the lines in one direction then repeat in the next direction. You can just lay them one right on top of the other without waiting for the glue to cool. Then let the entire side cool completely and peel from your mat. You are left with something that looks like the image below. You will need to repeat for four of these sides pieces. You will also need a bottom for your pencil holder. I made a 3×3 square and this time I made the lines in the same directions as before but made them much closer together. This resulted in a tighter weave so any pencils would not fall through. 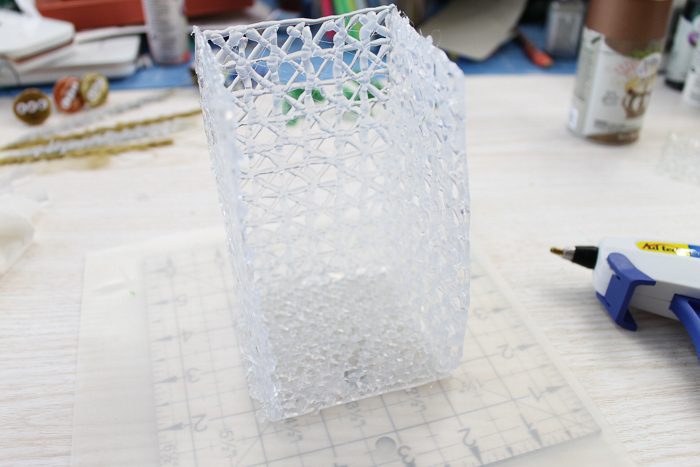 Once all of your pieces are made and cool, you can start assembling the pencil holder. Just use hot glue along all seams and hold in place until the glue cools. I placed the “flat” sides to the outside as they looked more finished to me. You can use whatever side you like, however. 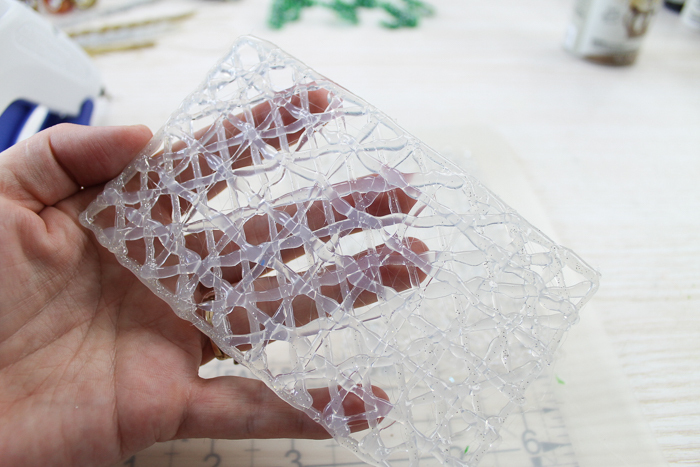 This is where hot glue fingertips come in handy to protect you from hot glue burns. Glue the bottom and all sides together. Be sure to complete these steps on the non-stick mat as well. This will keep your project from sticking to your work surface. 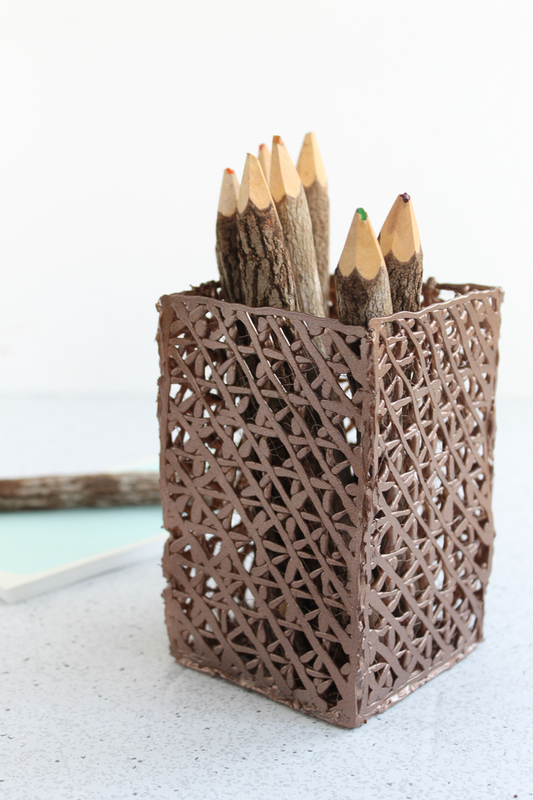 Once you have added all four sides, you just need to complete these pencil holder craft ideas with some paint. Spray paint all sides and allow to dry completely. 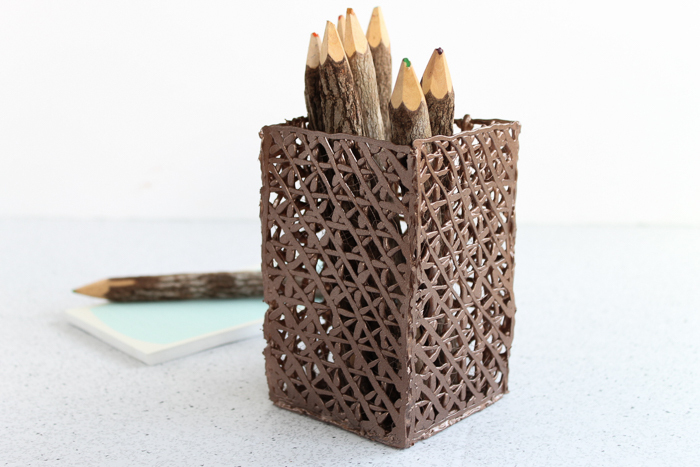 Then just add in some pencils and this project is ready to organize any room! 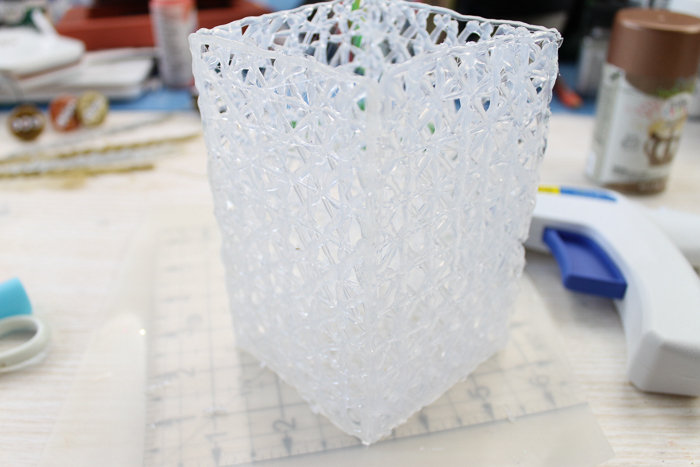 Look at that basket weave-like texture! To think that is made with hot glue! 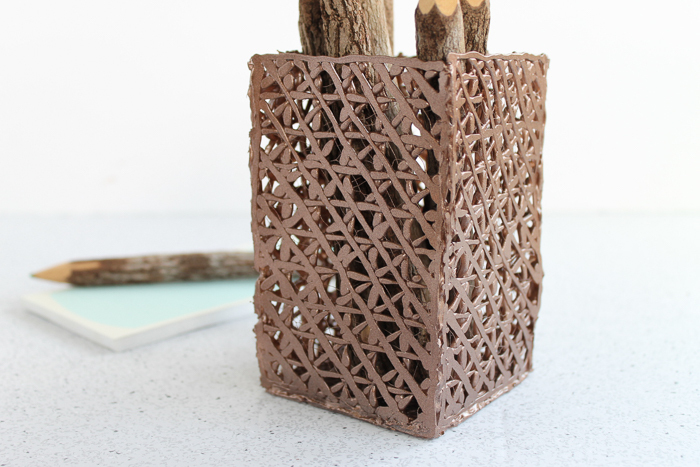 Grab some hot glue sticks and get started on some pencil holder craft ideas of your own. You could even use this same idea to make containers in other shapes and sizes. Let your imagination run wild! Do you love how easy this project is? 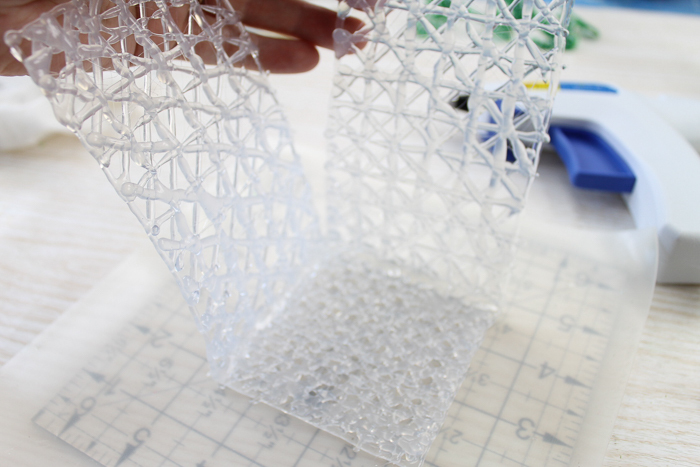 Perhaps you want even more project ideas with hot glue? Well, I have the book for you! 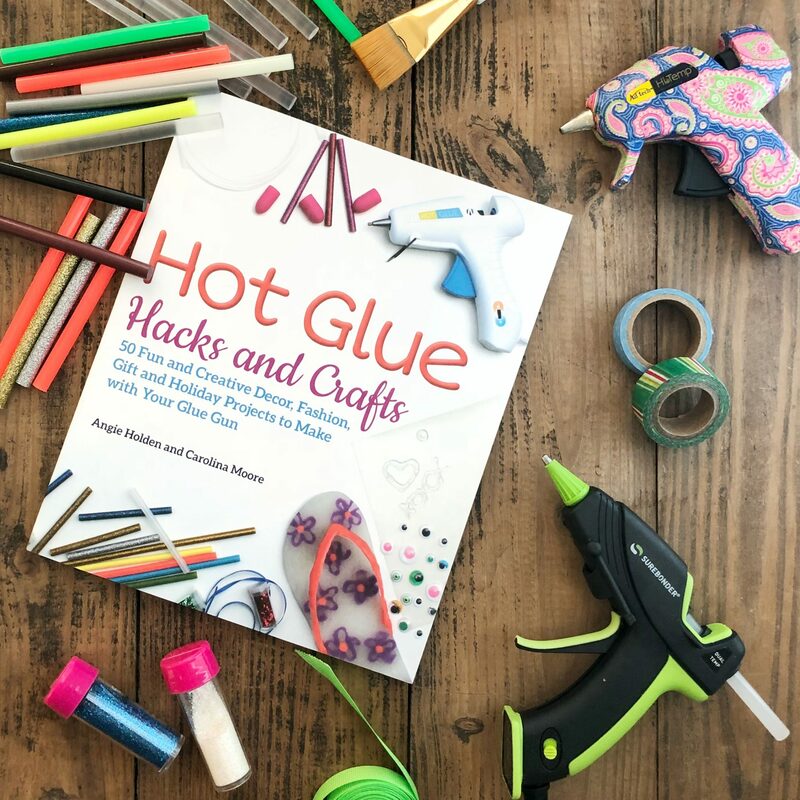 I partnered with Carolina Moore to write a book all about hot glue to bring you projects just like this one. We are using hot glue in ways that you never thought possible. Hot glue shoes? Oh yes! And so much more! 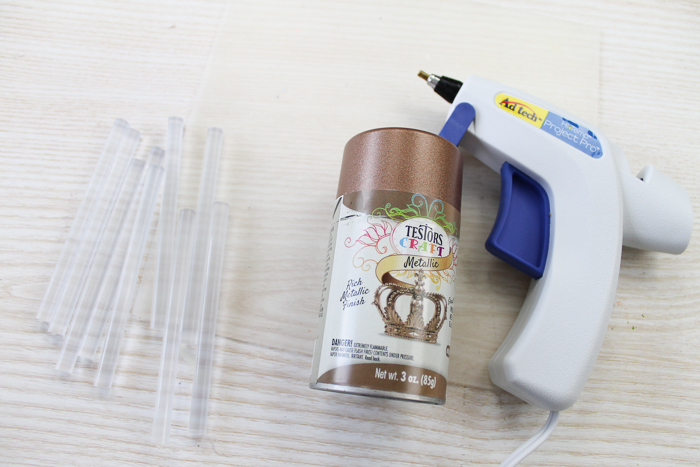 So are you ready to dive in and use your glue gun like never before? 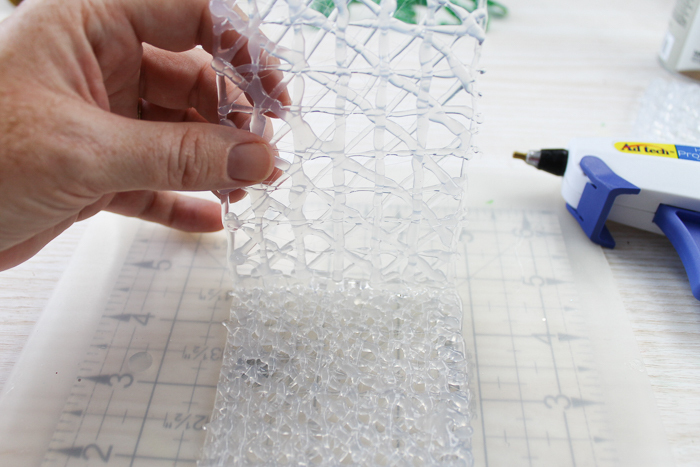 Now, are you ready to see even more great hot glue crafts? 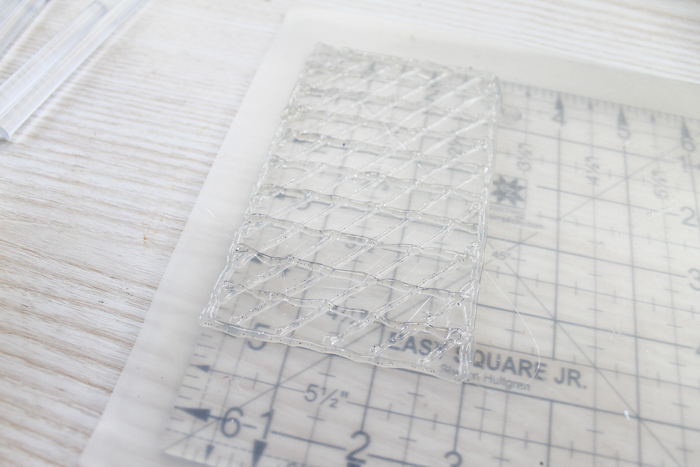 Carolina and I are collaborating with several other blogs this week to bring you some hot glue inspiration! Just click the pictures below to open up instructions on how to make each craft idea. Very cool! My daughter loves to use the glue gun so I could see her wanting to try this. Visiting from BFF Party. I love this idea! What a great craft for older kids to make as gifts for grandparents.